In Beacon Yards, will the highway trump the neighborhood? An aerial photo shows Beacon Yards and the Harvard Business School in Allston. 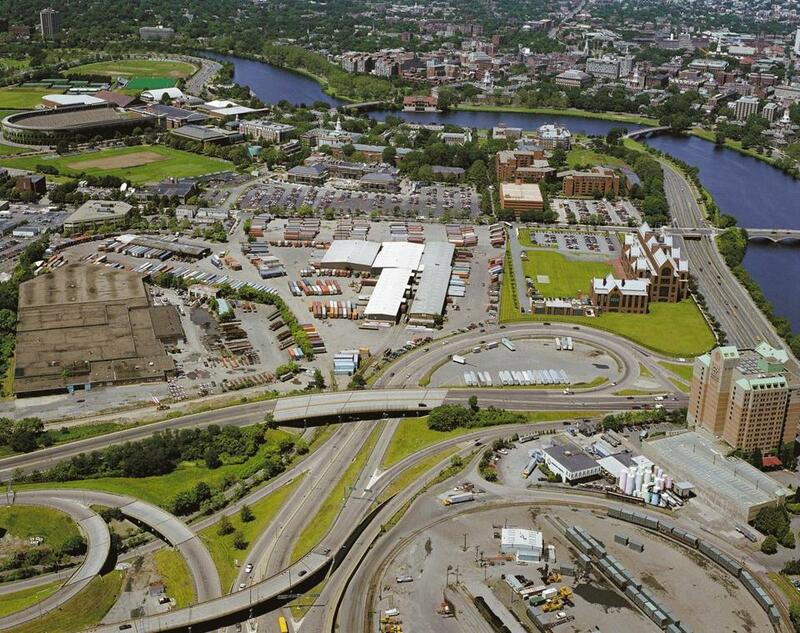 The tangled roads and underused rail beds at Beacon Park Yards in Allston, currently under the shadow of the Massachusetts Turnpike, are so much more than remnants of the city’s industrial past. Over the next seven to ten years, the state Department of Transportation plans to remove the Allston toll plaza on the Pike, straighten out a traffic-clogging bend in the highway, and replace a crumbling elevated section of the road that runs roughly from the tolls to the BU bridge. These are necessary upgrades for safe and efficient highway travel, but the real excitement is in the potential for some 50 acres of buildable parcels that are currently trapped by the roadways. The Beacon Yards project has the promise to remake the neighborhood, complete with a new commuter rail stop called West Station. But the way the planning process is currently unfolding, there’s a risk that too much energy will go toward rebuilding the highway — and not nearly enough toward the people who would live beside it. Officially, MassDOT recognizes Beacon Yards’ ability to improve “livability and connectivity” in Allston, and to enhance public transit links to Kendall Square, the Seaport, and other job-rich areas. But so far the discussion has been dominated by highway engineers and their priorities. 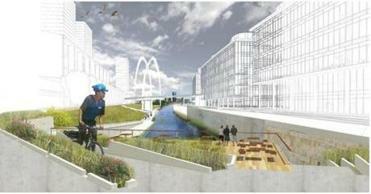 An example: The raised highway deck is currently slated to be rebuilt at roughly the same elevation. Just as the Central Artery once slashed a scar across downtown Boston, this viaduct splits Allston in half and makes connections to the Charles River difficult. How does a highway project turn into much more? Ask an architecture studio at Northeastern. Some advocates want MassDOT to consider rebuilding that span of highway at grade level, arguing that their alternative would save money in construction and maintenance costs. A grade-level highway, they say, would open up more development potential for Harvard, which owns most of the land, and knit Allston back together. But such a proposal would require MassDOT to reset its priorities, and the agency initially dismissed it last year, calling the plan infeasible. But as recently as last month, business and community leaders were asking to keep the option alive. In one hopeful sign, MassDOT requested that the Boston Redevelopment Authority conduct a 6-month “place-making study” to test its design. Tad Read, interim planning director for the BRA, said the study is intended to make sure nothing in the transportation department’s design “precludes the creation of a great neighborhood.” For example, the study would consider whether street blocks are designed at human scale, or whether there is room for air rights development to help reknit the neighborhood. But will that be enough? At a June 17 meeting with community advocates, transportation officials outlined several goals that they said would help create a more livable neighborhood: a slimmed-down Cambridge Street, redesigned to be more accessible to pedestrians and bicycles; a replacement for an old footbridge over the Pike into North Allston; even a rerouted Soldiers Field Road to free up open space along the Charles for an Allston Esplanade. The Allston project is entering a new design phase, when transportation officials will choose a preferred plan among the dozens that have been floated to submit for formal environmental review. This is the time to integrate urban place-making into the current road-building, so that the highway improvements are designed around the neighborhood parcels, not the other way around. A “great neighborhood” hangs in the balance.